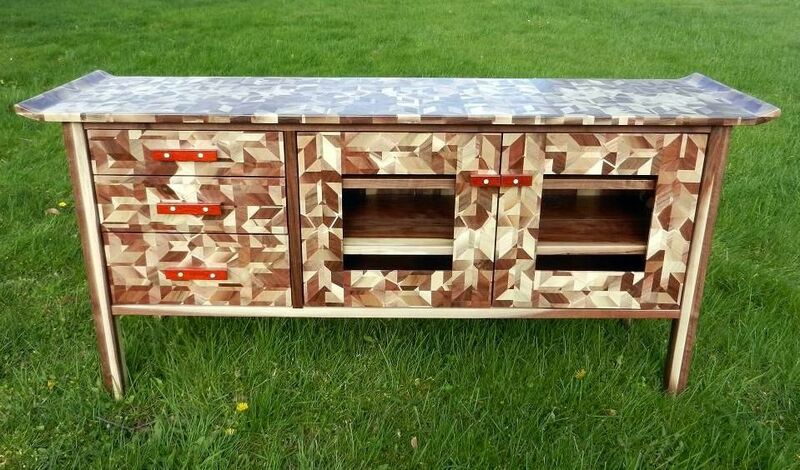 Walnut media cabinet. 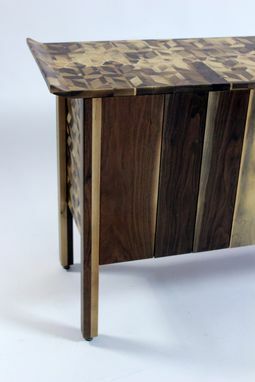 I mixed black and white Walnut to create contrast. 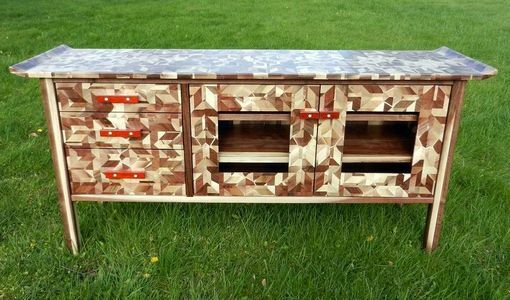 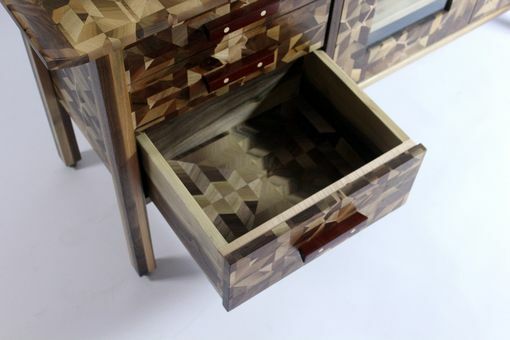 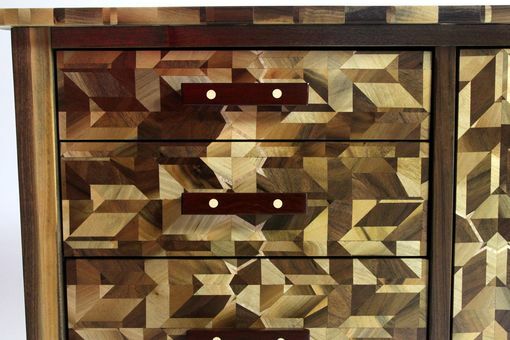 The pattern was created using 3 generations of wood cuts.